This work takes its title from a line in an old Talking Heads song "Once in A Life time" (released in 1981). A video of Talking Heads performing this song can be seen at YouTube (no sound, due to copyright restrictions). Remove the water at the bottom of the ocean!" 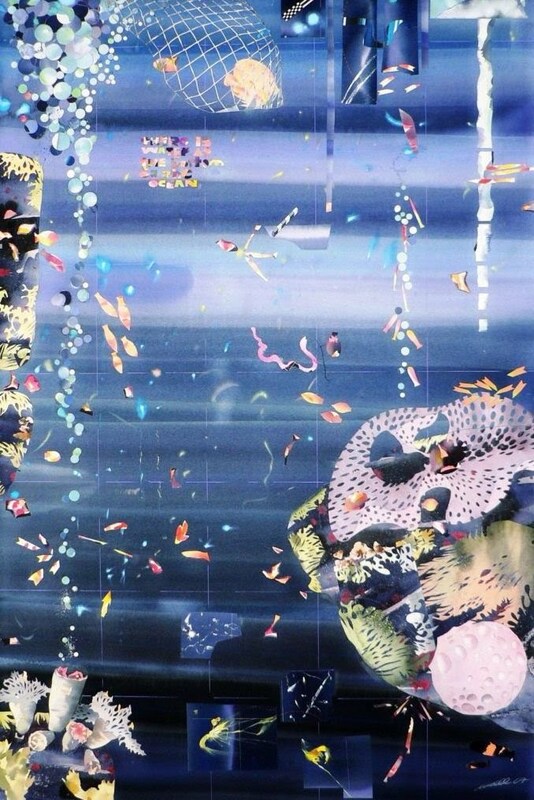 The bubbles in this painting were very time consuming to create. 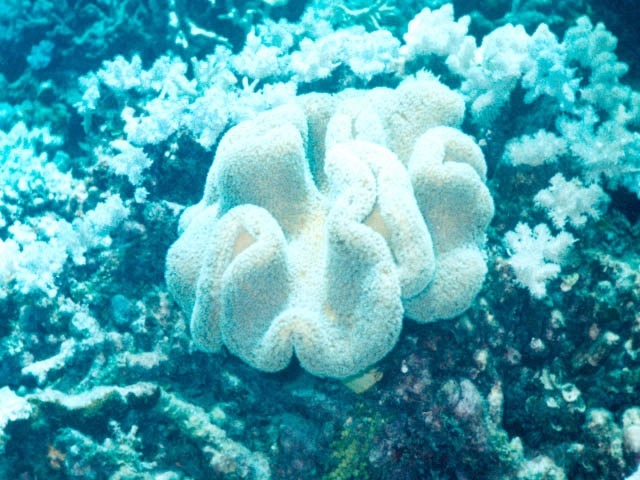 The Great Reefs of Australia are a part of Australian and world heritage.The unique qualities of the reef were recognised in 1981 when it was inscribed on the World Heritage List. Tragically, large portions of the reef are now bleaching and dying, and the fauna and flora that inhabit the reefs will follow suit. A 2014 outlook report about the state of the reef is still a WIP, but the 2009 Report is available online. You can also read and comment online on the government's 2014 Reef Trust discussion paper. The Great Barrier Reef can be seen in all its colourful beauty on the BBC (2012) documentary Great Barrier Reef - Nature's Miracle (available at YouTube). These bubbles are the real thing!